History is full of powerful families that have left their mark on the political and economic systems of their age. During the Italian Renaissance, there were the Borgias and Medicis. In the United States, a number of families have realized America is not only the land of opportunity but also the land of wealth and dynastic power. We’ve had the Astors and Rockefellers, and even the Rothschilds have a foothold in the American power system. More recently, the Koch brothers have drawn attention to themselves, and though Charles and David generally try to avoid the spotlight, their fingerprints are all over the political system. Apparently, it’s tough to be the mysterious Wizard of Oz when you’ve bankrolled half the politicians in the Emerald City. Though they’ve historically backed Republicans, the pair has also opposed President Trump. Only last week, when the administration’s Obamacare repeal died before a vote, it was brought down by the Freedom Caucus, a group of congressmen loyal to the Freedom Partners, a political arm of the billionaires. However, under the Trump administration, a new family is entering the generally cemented world of D.C. power-grabbing. The Mercer family is headed by Robert Mercer, who the New Yorker characterized as “a reclusive Long Island hedge-fund manager, who has become a major force behind the Trump Presidency.” And while Mercer is still a relatively new face on the scene, he’s been building his influence for several years. Like a brilliant chess player, he has been placing his pieces exactly where they can inflict the most damage. The Mercer patriarch is constantly described as “a brilliant but reclusive computer scientist.” He made a considerable portion of his wealth as CEO of the hedge fund Renaissance Technologies. In their profile of him, The Guardian wrote that Mercer “very rarely speaks in public and never to journalists.” I asked a handful of D.C. contacts, people usually quite willing to talk to me as a journalist, for more information about the family and was met with a wave of the hand or a refusal to go on record — even to be quoted as an anonymous source. As The Guardian noted, Mercer is a hard man to find, and so “to gauge his beliefs you have to look at where he channels his money.” Last week, the family appeared at a conference in Washington D.C. sponsored by the Heartland Institute, an organization they pumped over $5 million into between 2008 and 2015. It is best known for its efforts to deny climate change. The Washington Post sent reporters to that conference, but unsurprisingly, the Mercers (Robert and his daughter Rebekah) refused interviews. In their report, the Post noted a number of familiar and prominent faces in the audience, including Myron Ebell, a scientist who has become the go-to man for climate change denial. Ebell even led President Trump’s EPA transition team. 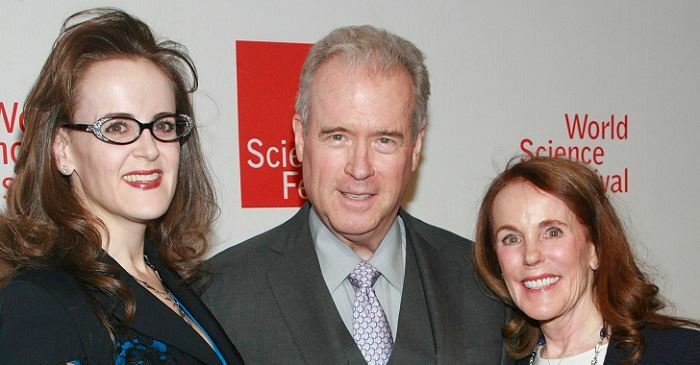 The Mercers’ success arises from the family’s ability to invest their money in the most strategic pockets and come out big. While most Democrats and old school conservatives were busy funding think tanks and pumping their cash into candidates, the Mercers put their money into Breitbart, the news organization that has become synonymous with the Trump presidency. The Wall Street Journal reported that shortly after Steve Bannon met Mercer, “Mr. Bannon drew up a business plan and term sheet under which the Mercer family bought nearly 50% of Breitbart News for $10 million.” Bannon is the former chair of Breitbart news and now a top White House strategist who is widely seen as the most powerful man in Washington. Nevertheless, it seems the Mercer family’s influence in Washington is only beginning. Amid the rise of populism, they have funded all the right players. With their funding of climate change denial, they are eager to see regulations rolled back. Under President Trump, there’s a fair chance that will happen. They put their money behind Breitbart, which is among the most powerful news outlets in the nation and has the ear of the White House. The Washington Post reported that the family had pumped millions into The Media Research Center, which is a right-leaning media watchdog. They’ve contributed to The Federalist Society and The Heritage Foundation — both conservative think tanks with huge influences on politicians. If the family continues to play their hand this well, they’re sure to continue shaking up Washington D.C.